Inspire Middleton recognises the value of partnership and joint working, we believe that local people have a great deal to contribute to the future of our community. One of our strap lines is… Together we can make a difference, because we know that no one organisation can do it all, whether this is government, the local authority, or other agencies. As a reflection of our commitment to working with others here are some of the organisations that we are members of, in no particular order. Click the logo’s to go to each organisation’s web site. The UK online centres network was set up by government in 1999 to provide public access to computers. Since then the role of UK online centres has developed to become more about inspiring people to get online, and supporting them to gain the skills and confidence they need to use the internet and to take advantage of online public services. We believe technology is key in both social inclusion and community development. Our mission is to get one million more people online by 2013, improving individual lives and strengthening local communities. At UK online centres, we help make online easy! There are 8 million people in the UK who don’t use the internet, and are missing out on all sorts of benefits and conveniences as a result. We co-ordinate the network of 3,800 community based UK online centres across England, provide products on our www.go-on.co.ukwebsite, run marketing campaigns, offer training and project opportunities and administer grant funding to help our centres help more people make the most of online life. CVS Rochdale is the local support and development organisation for not for profit organisations within the borough of Rochdale. Our main role is to champion and strengthen local not for profit organisations (charities, voluntary organisations, community groups, faith groups and social enterprises). Our mission is to work with not for profit organisations to enhance the quality of life for residents within the borough of Rochdale by supporting and developing, voluntary and community action. Our vision is of a strong, diverse and influential voluntary sector in Greater Manchester. We support local voluntary action by local people by providing specialist support, knowledge, voice, infrastructure and innovation, working in partnership with other support organisations and with the public and private sectors. CDX is a national, independent membership organisation for community development, building a movement through the diversity of our membership. We believe passionately in community developmentand its potential to transform communities. We believe that funders and policy makers at all levels should understand community development if they are to support communities and improve community living. 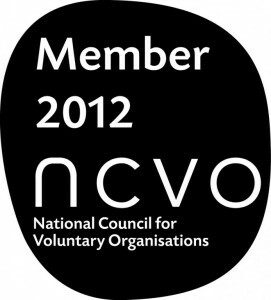 NCVO champions and strengthens the voluntary sector, with 8,300 members, from the largest charities to the smallest community organisations. We make sure the voluntary sector can do what it does best. oluntary sector organisations in the UK. Everyday, across the country, millions give them their time, energy and money. And for over 90 years, NCVO has brought the voluntary sector’s people together: to solve problems, address root causes, and inspire each other. We know the power of the voluntary sector. No one organisation can solve society’s challenges alone. 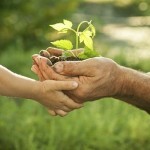 But collectively, we’re all vital for sustaining society in times of challenge and change. That’s why, inspired and empowered by our members, NCVO champions and strengthens the voluntary sector: by making sure Government knows its true value, and making sure it can continue to do what it does best. Because a vibrant and thriving voluntary sector improves the world around it. Who Let The Dads Out – is a parent and toddler session specifically for dads, grandads, male guardians and their children. It is based on the model of a traditional parent and toddler format, but usually takes place on a Saturday morning and includes a few masculine touches, such as bacon butties and newspapers. 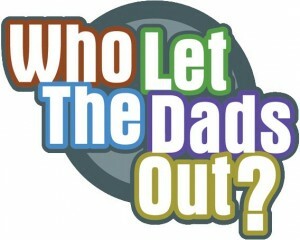 Every who let the dads out group is different and our network helps and supports the development of local groups. We know that parent and toddler work can transform relationships and strengthen families. Yet we also know that mostly mothers have populated the parent and toddler world. Who Let The Dads Out? is all about creating space where dads and their young children can have fun together and is founded on the Christian principle of wanting to demonstrate God’s love to communities. Localgiving.com is a not-for-profit organisation owned by the Community Foundation Network (CFN) and the Ardbrack Foundation, both registered charities dedicated to supporting local charities. The Community Foundation Network is the membership body for Community Foundations across the UK. The 56 Community Foundations cover 95% of the UK, and manage £222m in 1,400 philanthropic funds. In 2010 they distributed £70m in grants to 17,000 voluntary community organisations. CFN also have records of 44,000+ voluntary community groups that they have vetted for their fundholders in the past. CFN aims to promote the concept of community foundations in the UK, stimulate and support their growth and best practice, and give support to individual community foundations and their networking with others. Their vision for the network of community foundations is to see members in aggregate and individually providing a unique channel for donors of all kinds to engage with their communities on a lasting basis. The partnership with Localgiving enables supporters to engage with their communities online. Jane Gould our Development Director says there is no ‘one size fits all’ way to run a Job Club but the common denominator we all share is ’self help’. Doing things for ourselves and one another is empowering; we also cope with the roller coaster ride of job search so much better when we share the journey. Through the Lighthouse Project we run to dual strand work club with one strand being daily access to the internet for job hunting and applying for work, and the other being a structured 12 session employability and motivational course called Why Don’t You..? which offers 36 hours of guided support and training. As a local work club we are responding to the needs of people in Middleton and the surrounding area in helping them learn new skills and be better prepared to find work and make a good impression. Rochdale MBC’s Skills and Work team support Work Clubs around the borough through networking and offering training courses, Middleton Work Club is an active member of this network.